Antibacterial tea tree oil is good for problem skin. Three different essential oils with the common name of tea tree combine to make this total tea tree bar. The blend of Australian tea tree (Melaleuca alternifolia) with kanuka (Kunzea ericoides) and manuka (Leptospermum scoparium), both from New Zealand, creates a pleasant herbal aroma, somewhat medicinal and reminiscent of leather. Tea tree oil is well recognized for its active role in skin care. Its reliability came to be known over hundreds of years among the Maoris and other Oceanic peoples. It still commands great respect today. Contemporary research on tea tree oil confirms its anti-bacterial, antifungal and antiviral qualities. 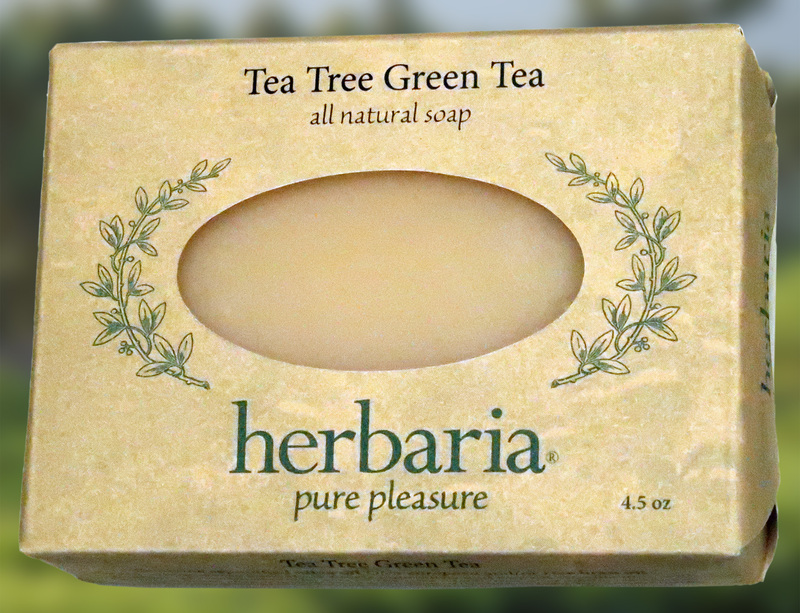 Added to soap, it can help control acne, body odor, oily skin, athlete’s foot, and rashes. You may also find it soothing for sunburn, poison ivy, minor wounds, insect bites, and bee stings. We add green tea for its phytochemical strength. Green tea is a natural antiseptic shielding us from sources of skin cancer, aging, and inflammation. The tea happens to provide a warm caramel color as well. This bar will feel especially moisturizing on your skin because it contains not only avocado oil but jojoba oil, too. We know you’ll love it! Available with or without oatmeal. Try our Tea Tree Shampoo Bars, also.